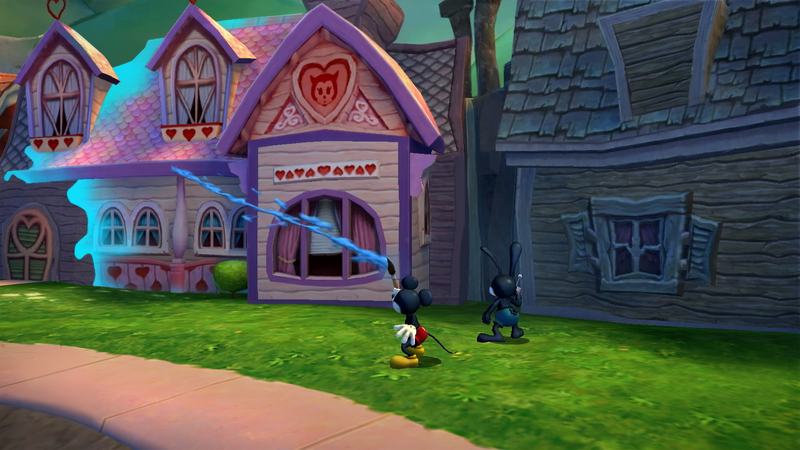 Epic Mickey 2 comes into the fore after the success of the original and is the series debut on the Xbox 360 platform. It’s a multi format title spanning consoles and handhelds, but within a genre that’s popular and filled with many other great offerings, how well does Mickey and sidekick Oswald fare in this adventure of epic proportions. This is a tough sell for Disney Interactive simply because the PG rating is a little misleading. In reality who is going to be interested in Mickey Mouse when there are killer characters like Master Chief, Dante, Marcus Fenix, Ryu Hayabusa and many more on the Xbox games console. Fine, they are perhaps in different genres and a more fair comparison would have to be drawn with the likes of Sonic and Mario, but then again, these two are staple for anyone interested in gaming, and Mickey, is merely a reiteration of his big screen self. Sadly, the element of appeal sits on a very fine line in Epic Mickey 2, because on one hand, the target audience – as you would expect – is going to be quite young, hence the PG rating (Ages 7 and up) on the box. Yet, in some instances the game itself is perhaps made a little too complex for the intended audience to really get to grips with. From the offset, players can team up with localized co-op with one player controlling Mickey and his paint brush, and the other Oswald with his remote control – hence the power of two moniker. This means puzzles and problems can be shared, but more often than not the vague approach to some moments are likely to still leave some players wondering what to do next. The game is fairly tame in its approach in most instances where players freely roam, performing tasks and generally talking to familiar looking NPCs. Yet, the pacing is quite dull, and the tasks menial to the point of drawing out what could have been more exciting and fluid activities. There’s a lot of sleep inducing moments which really don’t do the game any favours, co-op or not, and it’s this which makes Epic Mickey 2 a mixed bag of platforming, adventuring with combat elements thrown in for good measure. The game does present a fairly wild and surreal world to explore, filled with Disney themed flourishes that will please fans and the more astute, but there’s a real disjointed nature to the game’s levels as players move from one area to the next, even entering old film reels which is a neat touch. The audio aspects are well produced, with everything sounding as it should although as with the rest of the game, the pacing is very slow as conversations are initiated and tasks set. There’s a rousing score that keeps the audio palette alive, but in general there’s nothing categorically epic about the audio despite moments where it should jump out at players. 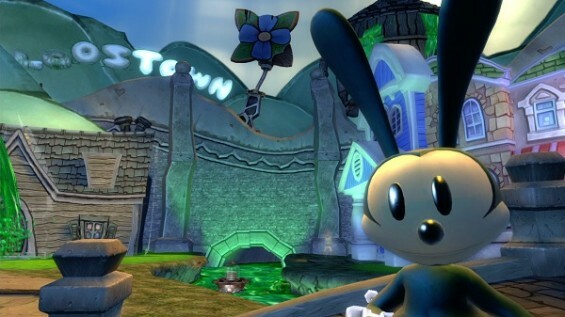 There’s a fair amount to do in Epic Mickey 2 that encourages being extremely thorough, or returning to areas to discover new things that may have been missed the first time. The co-op aspect is good for two gamers, and as a solo game there’s perhaps enough meat on the table to entertain for quite some time. 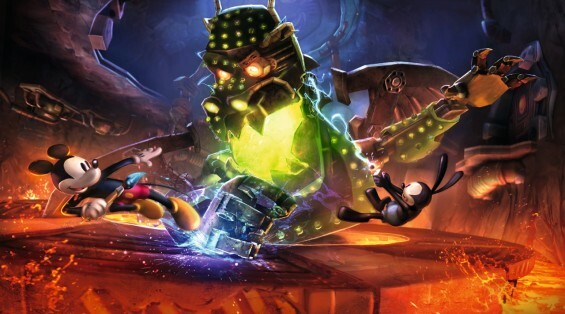 Epic Mickey 2 is a bit of a let down for older gamers looking for a slice of action adventure, where the game’s simplicity and then vagueness really does knock at the door of a tempered execution. Younger gamers are likely to struggle, which leaves the game in a bit of a limbo state as it is likely to fail to appeal to either group. If you’re a glutton for punishment and can’t get enough of all things Mickey Mouse, or even a fan of the original game, then this is perhaps worth a punt; if you’re indifferent, then there are more concise and targeted offerings available.